In this series of articles, I will be reviewing individual industry sectors and selecting my favorite stock picks for 2016. For this article, I will be reviewing the Containers & Packaging industry sector, taking a look at revenue/earnings growth and the overall financial stability of the included companies. Out of this group of stocks, my top picks for this year are Packaging of America and WestRock. My next step was to look at the book value of each company and to remove any stock that has seen a decrease in its book value over the past five years. However, none of the remaining stocks saw a decline in book value during this time period. I then looked at the remaining stocks and only included stocks with earnings yields of 5% or higher in my final analysis. AEP Industries was the only stock out of the remaining three that had a earnings yield below 5%. My next step was to look closer at each stock remaining that passed all previous criteria and determine whether or not there were any reasons to eliminate them as great stock candidates for 2016. In doing so, I reviewed the financials of each company, the most recent quarterly report transcripts, and searched for any news items that warranted concern. For its last quarter, the company posted a 3.3% decline in revenue and earnings per share on par compared to the same period last year. And while those numbers don't seem impressive, they are better than the industry average as Packaging of America continues to gain market share. In addition, the company continues to improve efficiency through cost reduction and synergy improvements. This can be seen through the lower impact of falling sales towards the company's EBITDA values. While sales fell from $313M to $292M, EBITDA only decreased by $10M. The company's CEO stated in a conference some of the reasons as to why Packaging of America is positioned nicely for continued growth. First, we're in the right product. Corrugated container has established its place in society with over 80% of packaged goods going to market in a corrugated container. The product has virtually no obsolescence throughout and a very limited substitution for it. Containerboard is also one of the few products in North America that does not face an import threat. After more than a decade of consolidation the industry is experiencing a relatively stable supply and demand balance with mill operating rates averaging 96.3% this year and 94.5% in October. On a per day basis, industry box shipments have grown and shown 15 straight months of positive growth. With the Boise integration effort finishing up, PCA is repositioned for growth. During the past two years, we've built much more operational capability into our containerboard and corrugated product system. And our white papers business which is about 70% cut size office these papers produces 15% of our EBITDA. The business has relatively modern equipment, requires modest CapEx and produces good cash flow. For its last quarter, the company posted a 48.3% increase in revenue and a decline in earnings per share from $1.31 to $0.93 compared to the same period last year. These numbers don't mean all that much considering the impact of the merger that occurred near the middle of last year. Shortly after the merger, WestRock acquired SP Fiber Holdings, an acquisition that helps to diversify the company's product offering. This acquisition along with several improvements across the company's various business segments that should lead to improved margins and higher growth moving forward. 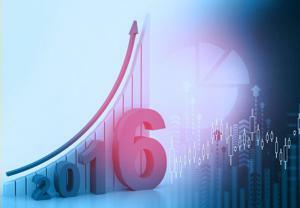 Out of this group of stocks, my top picks for 2016 are Packaging of America and WestRock. Although both stocks have performed poorly this year (PKG down 20.3% YTD and WestRock down 30% since merger was finalized), I feel that both companies are currently positioned to see nice returns in 2016, considering their growth initiatives along with attractive valuations. I don't expect huge price appreciation from these stocks this year, but I do feel that they have a great chance of outperforming the market in general. Both companies also have fairly strong dividend yields that will aide returns for shareholders this year. As always, I suggest individual investors perform their own research before making any investment decisions.